Colorblocking has been one of my favorite trends. It’s super easy to wear…even on your nails. Using Revlon Colorstay Gel Envy Longwear Nail Enamel ($4.47-$4.97 at Walmart) and round hole reinforcement labels (you know, those stickers you put around paper holes? 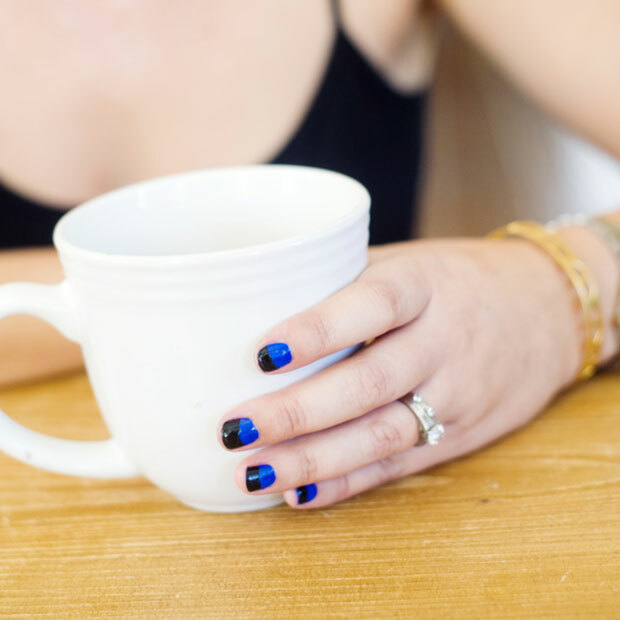 ), I’ll show you how to colorblock your nails for the fall. Step 1: Buff and prep your nails with a clear base coat. 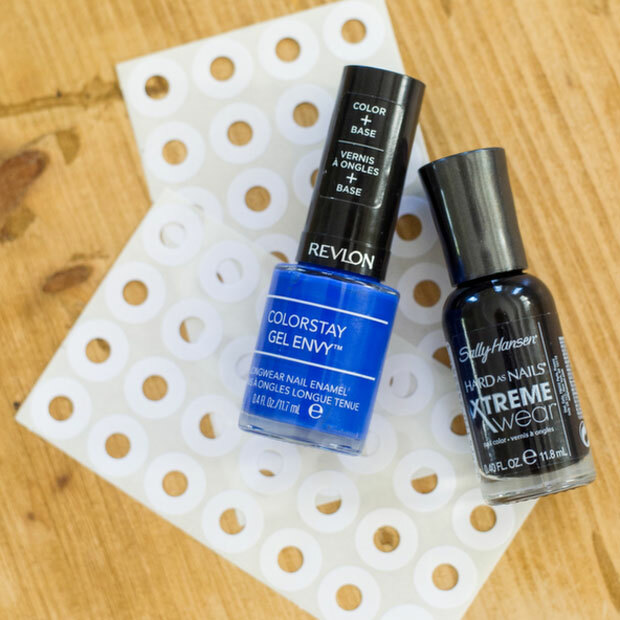 Step 2: Apply Revlon Colorstay Gel Envy Longwear Nail Enamel in Wild Card or your lighter color to entire nail(s). Tip: Be patient! Make sure this color coat is completely dry before applying round reinforcement labels. 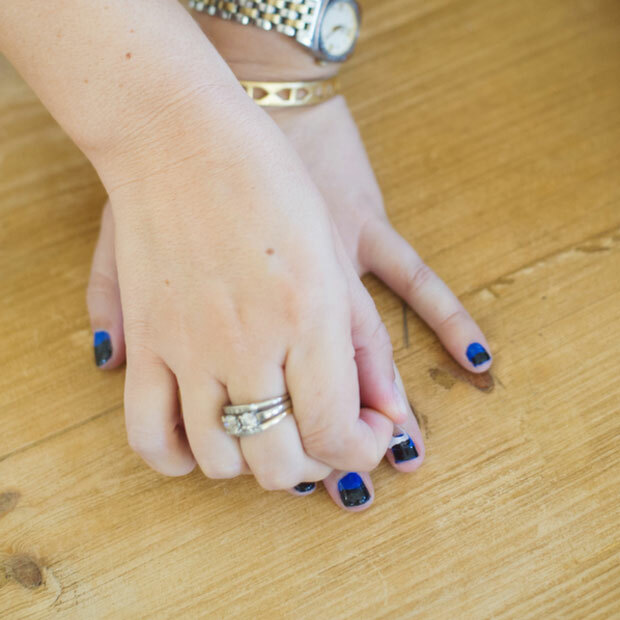 Step 3: Apply one reinforcement label per nail, exposing the desired amount of cuticle to pop the Revlon Wild Card blue. Once in place, the label will work as a barrier for the darker shade you choose to use. I am using a black tone to deepen the look for fall. Step 4: Paint the tip of your nails to the label with your darker color. Step 5: Wait for your nails to dry. Step 6: Slowly remove labels. Step 7: Top with two coats of quick-drying top coat. Voila! Colorblock nails in sassy fall shades. Depending on your level of creativity, you can create any design you want using multiple colors.